Stay on top of all things finance and insurance, whether you’re planning on financing or leasing a BMW. 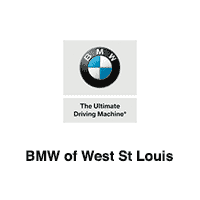 The Finance Department at BMW of West St Louis is here to help make the car buying process less stressful! Learn about comprehensive insurance, auto loan finance rates, buying vs. leasing, and much more. Feel free to contact us today with any questions, and make sure to explore all of our BMW incentives and lease offers. We’ll help you make an informed decision when you finance or lease a BMW in Manchester.